Have you ever wished that you never had to be afraid again? Have you wondered what it would be like to feel like you are always in control? Have you ever wanted to make someone regret a harsh word or nasty conduct? If you answered yes to any of the above, then you are going to love Elise. 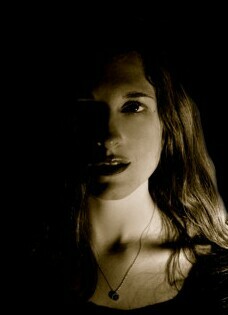 Elise is the main character in my recently released supernatural thriller, The Sounding. While The Sounding is grounded in true history and real, millennia-old religious prophecy, it focuses on how events in our world today might bring about the early end of the world. In the middle of underground catacombs, modern omens and a mission that spans the continents is Elise: an unlikely savior. On the outside, she’s a normal 20 year-old woman. Athletic, pretty (though not beautiful), strong, a bit too serious and a bit too closed. She’s a redhead who wears pink. She works at a pub when she’s not putting herself through school. She doesn’t have a roommate. On the outside, you might not pay her much attention. But on the inside, she’s keeping a secret. Elise can steal energy. From anyone. She simply needs to touch them – anywhere their skin is exposed – and then it begins. She calls it turning-up because the feeling reminds her of turning-up the volume on a stereo. She concentrates to make her consciousness “louder.” It’s as simple as focusing her thoughts, truly noticing the blood in her fingers; the way another’s skin is warm against her own, and then ­– feeling for something more. Feeling for the life just on the other side of the skin. The burning begins, the tingling, the heat. And in a few seconds (or a few minutes if you’re unlucky) she can take as much of you as she wants – your strength, your feelings, even your thoughts. The energy is then hers to use. She can heal herself of all but a fatal wound. She can make herself incredibly strong – running faster, jumping further, lifting more. She can use the energy to give herself telekinetic powers, moving and manipulating objects with her mind. At the beginning of the novel, she’s attacked while walking home very late. But, as you’ve probably guessed, it’s the attackers who are most surprised that night. As an author, writing for Elise was a uniquely liberating experience. Unlike any other character I have written for, Elise has no fear. She is always aware (even if only in the background) that she will never need anyone, that there is almost nothing she physically cannot do. She can always win, or she can always escape, and therefore, she is never confined, even by the plot. If she chose, she could be an Olympian – and win any of the men’s events. She could be an impossible-to-catch thief. She could be the most death-defying stuntman. A magician… a politician… her possibilities are endless. As I was writing The Sounding, to say that Elise took over her scenes for me doesn’t even do her justice. In fact, as I was editing, I found myself re-writing her sections more than any other character’s. She had become so strong and so defined that my early ideas of her power were nowhere near good enough for what she had grown to be. To be unafraid of pain or physical danger – I found her in the bravest and darkest parts of my imagination. As Elise faces a premature Armageddon – and the choice to use her gifts to stop it –the only thing that limits how far Elise will go (and exactly whose side she’s on) is her own morality. For somewhere, Elise does fear that – herself. There is little triumph in something easily won or cheated. And there is nothing as frightening as seeing the darkness she’s fighting win its battle in her heart. Elise walks that fine line between darkness and light, goodness and awfulness, ultimate power and lonely vulnerability. She carried me through my story, often to places I did not know and that I wasn’t entirely comfortable finding. And I know she’ll carry you. Just give her the chance… to touch you.